The real question of course is: Does online advertising work? Unfortunately, it’s impossible to give a simple answer to this apparently straightforward question. For starters, this is not a single question, but at least three different ones. 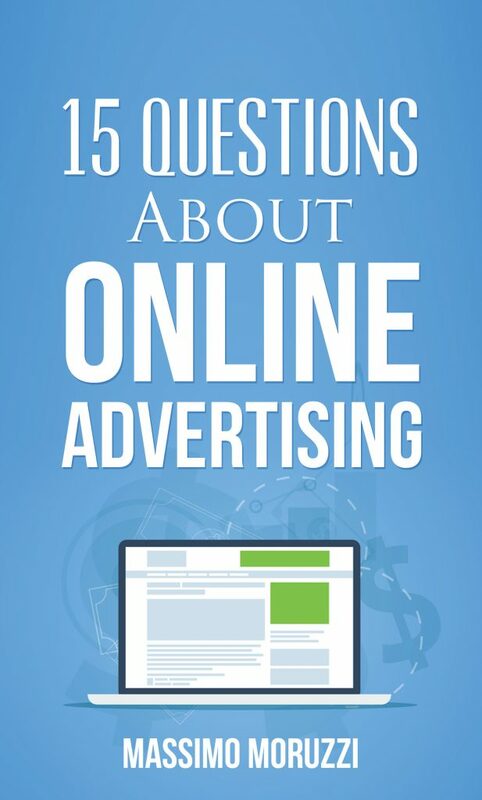 The right question to ask would be: for whom does online advertising work? Do banner ads, what we once called interactive advertising and now call display ads because nobody clicks on them, and much less “interacts” with them, work for publishers? Do they work for advertisers? Or do they just work for the middlemen based in Silicon Valley? 2. What Was Online Advertising Supposed to Be Like? 3. Did It Work Out as Advertised? 5. Why Are Banner Ads Still Around? 6. Is All This Targeting Good? 7. Is This Advertising at All? 8. How Big Is This Thing? 10. Does Online Advertising Work for Publishers? 11. Does It Work for Advertisers? 12. Does It Work for the Middlemen? 13. Is It a Gigantic Scam? 14. Should My Company Stay Away From Banner Ads? 15. Is There Any Hope for Online Advertising? Download it now: it’s a smart 15 minutes’ read.